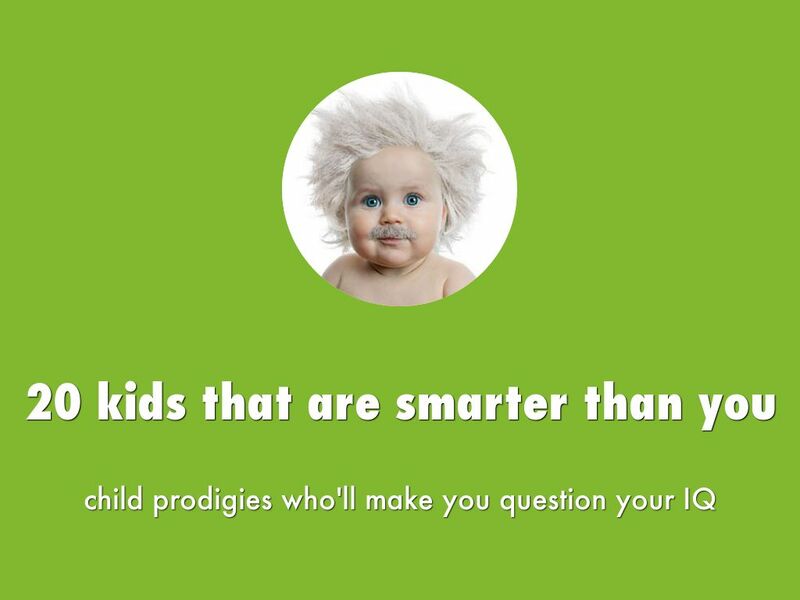 Copy of 20 Child Prodigies. 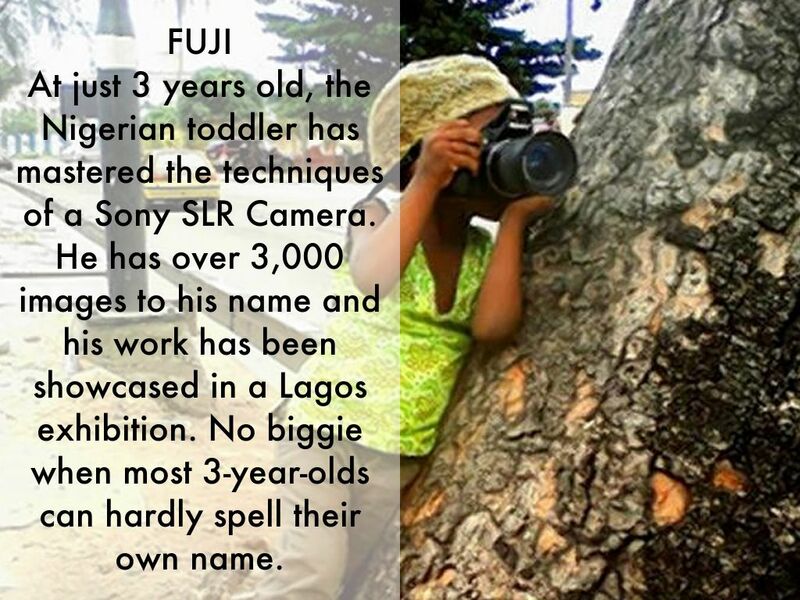 At just 3 years old, the Nigerian toddler has mastered the techniques of a Sony SLR Camera. He has over 3,000 images to his name and his work has been showcased in a Lagos exhibition. No biggie when most 3-year-olds can hardly spell their own name. 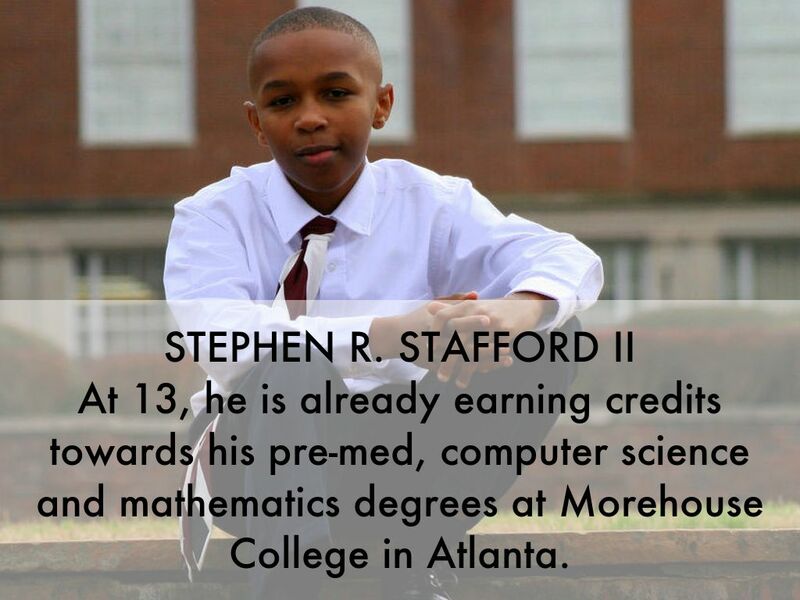 At 13, he is already earning credits towards his pre-med, computer science and mathematics degree's at Morehouse College in Atlanta. At 13, he is already earning credits towards his pre-med, computer science and mathematics degrees at Morehouse College in Atlanta. 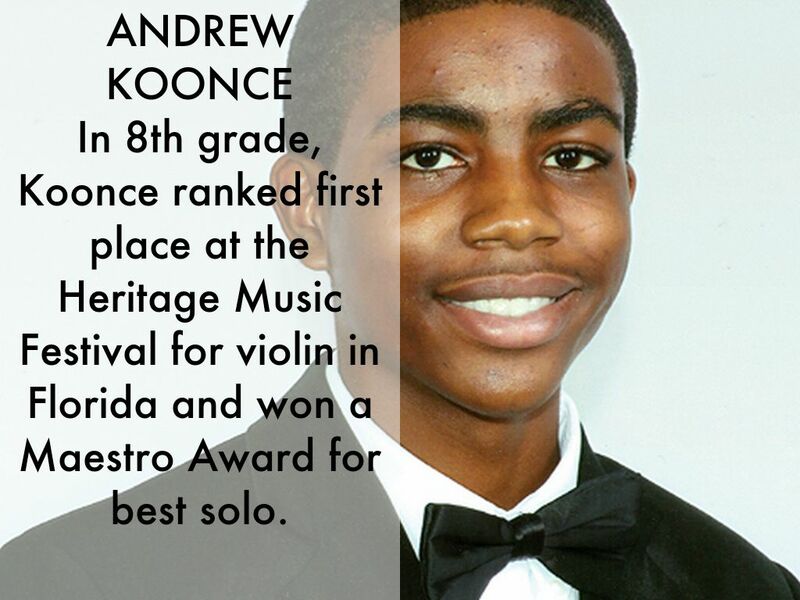 In 8th grade, Koonce ranked first place at the Heritage Music Festival for violin in Florida and won a Maestro Award for best solo. 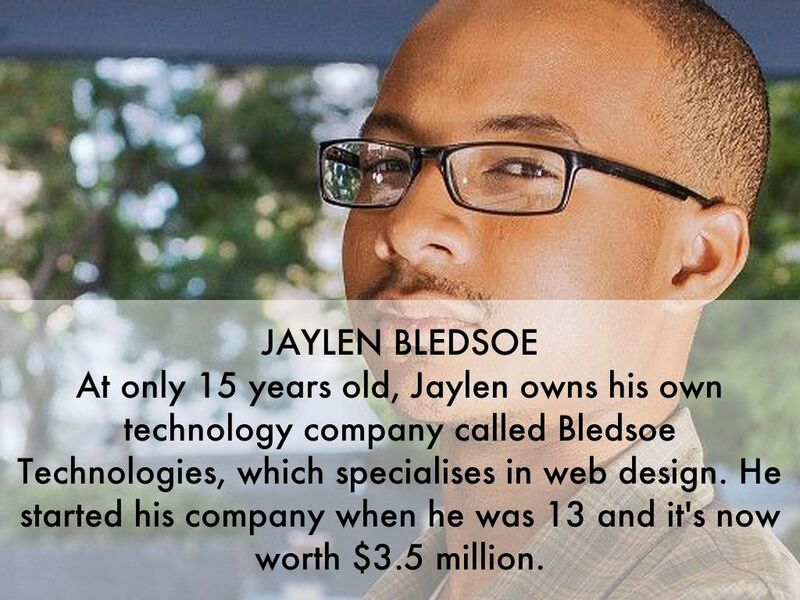 At only 15 years old, Jaylen owns his own technology company called Bledsoe Technologies, which specialises in web design. He started his company when he was 13 and it's now worth $3.5 million. 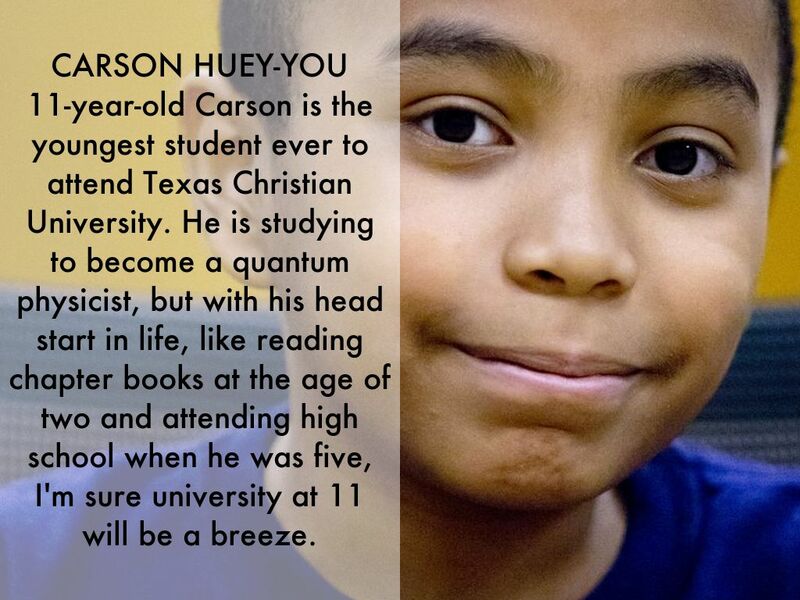 11-year-old Carson is the youngest student ever to attend Texas Christian University. He is studying to become a quantum physicist, but with his head start in life, like reading chapter books at the age of two and attending high school when he was five, I'm sure university at 11 will be a breeze. When he was 7, Jaswal performed surgery on an 8-year-old burns victim, separating their fingers. 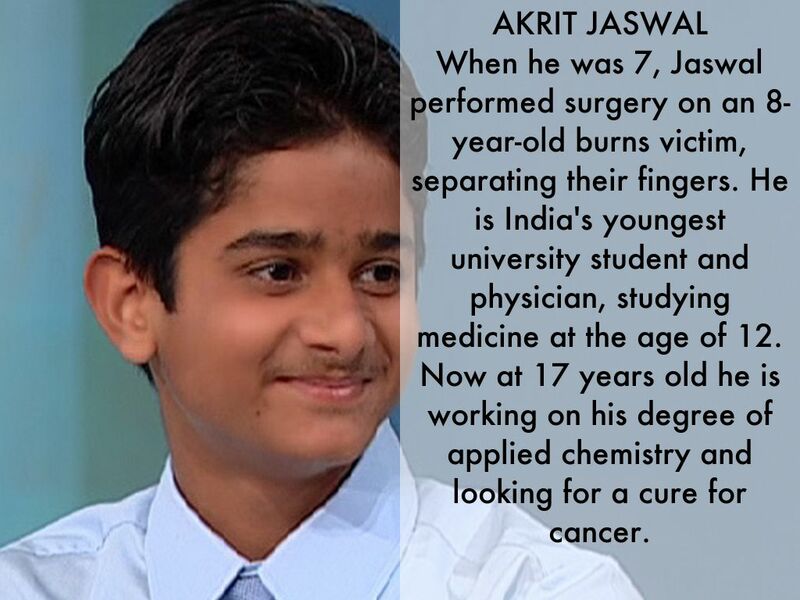 He is India's youngest university student and physician, studying medicine at the age of 12. Now at 17 years old he is working on his degree of applied chemistry and looking for a cure for cancer. 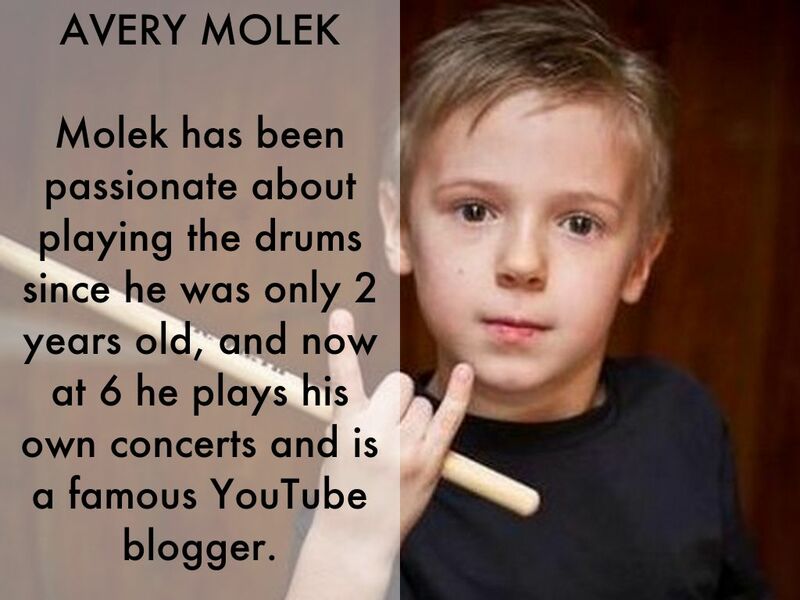 Molek has been passionate about playing the drums since he was only 2 years old, and now at 6 he plays his own concerts and is a famous YouTube blogger. 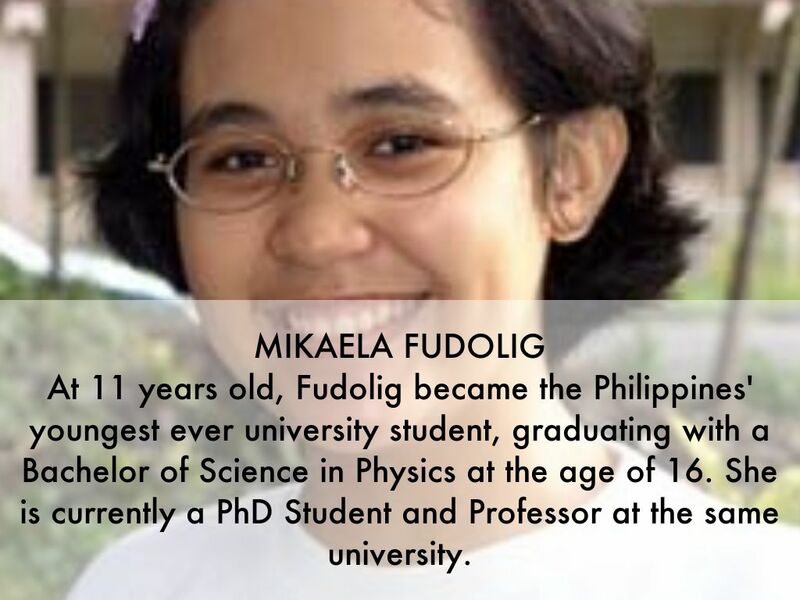 At 11 years old, Fudolig became the Philippines' youngest ever university student, graduating with a Bachelor of Science in Physics at the age of 16. She is currently a PhD Student and Professor at the same university. 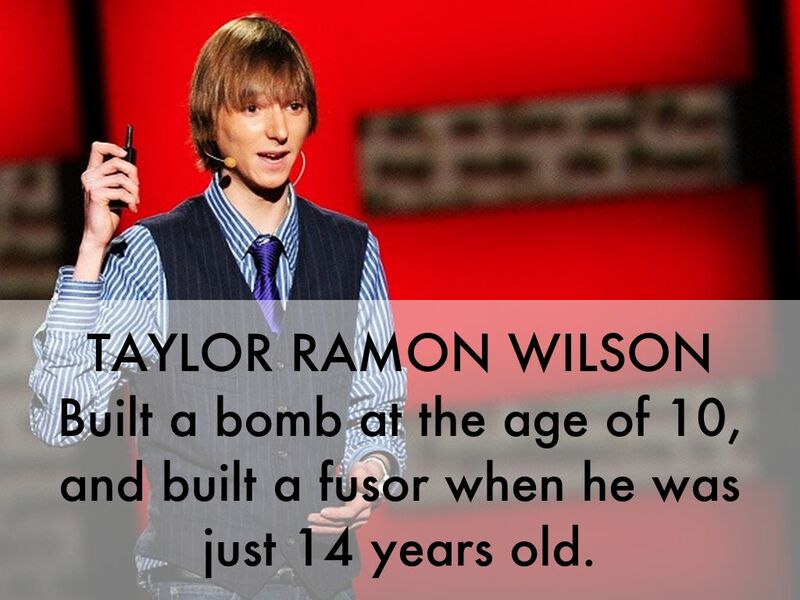 Built a bomb at the age of 10, and built a fusor when he was just 14 years old. 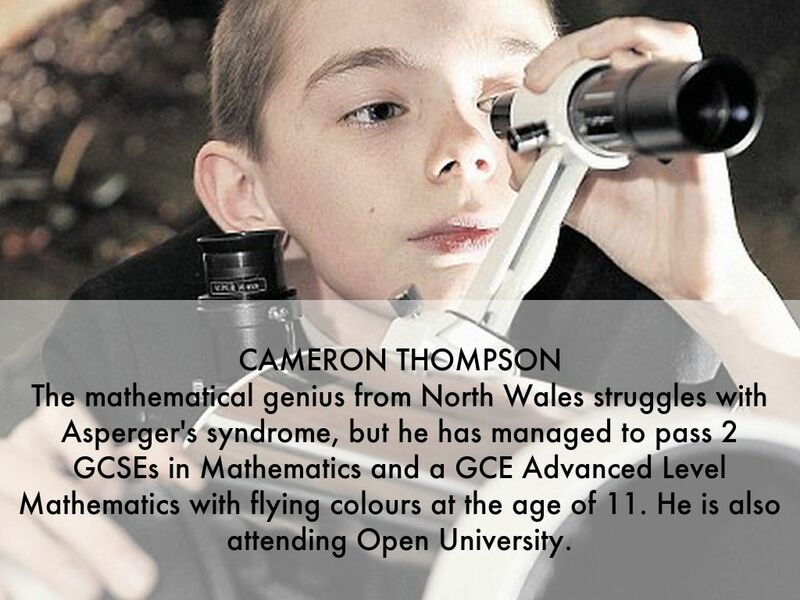 The mathematical genius from North Wales struggles with Asperger's syndrome, but he has managed to pass 2 GCSEs in Mathematics and a GCE Advanced Level Mathematics with flying colours at the age of 11. 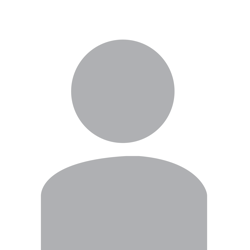 He is also attending Open University. 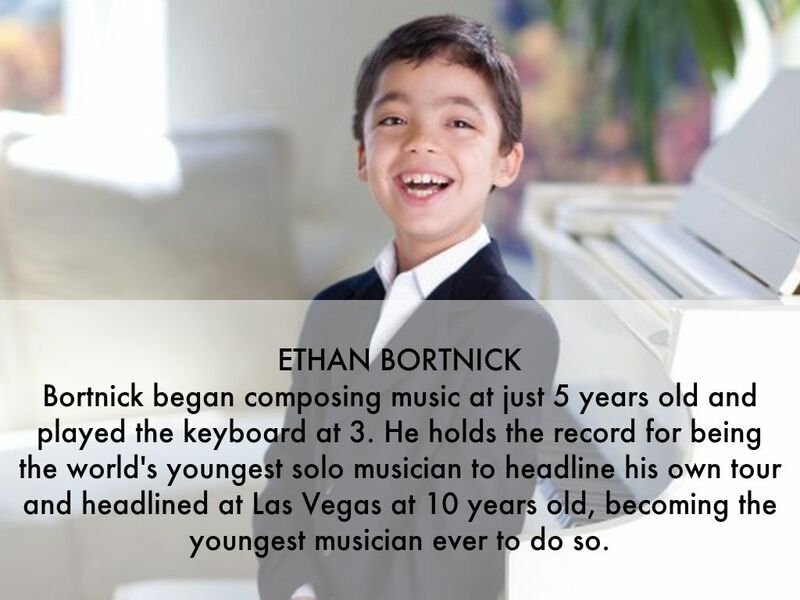 Bortnick began composing music at just 5 years old and played the keyboard at 3. He holds the record for being the world's youngest solo musician to headline his own tour and headlined at Las Vegas at 10 years old, becoming the youngest musician ever to do so. 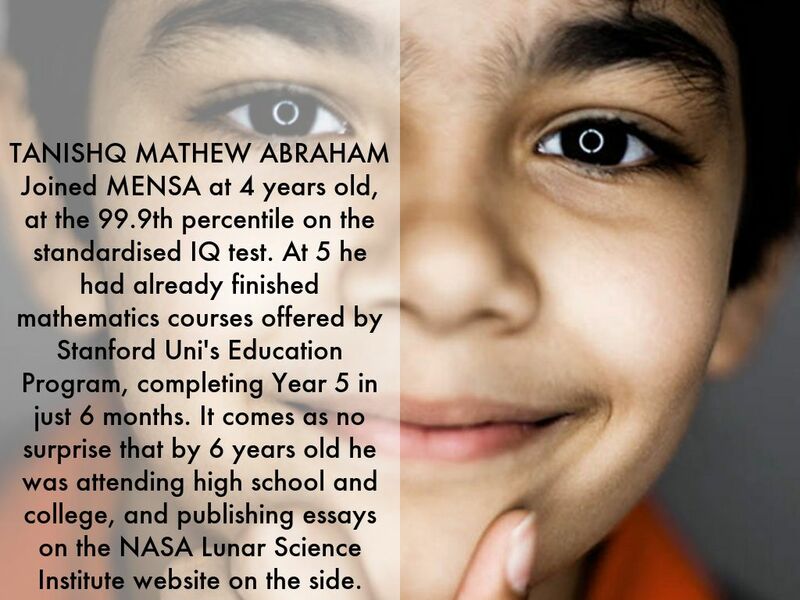 Joined MENSA at 4 years old, at the 99.9th percentile on the standardised IQ test. At 5 he had already finished mathematics courses offered by Stanford Uni's Education Program, completing Year 5 in just 6 months. It comes as no surprise that by 6 years old he was attending high school and college, and publishing essays on the NASA Lunar Science Institute website on the side. 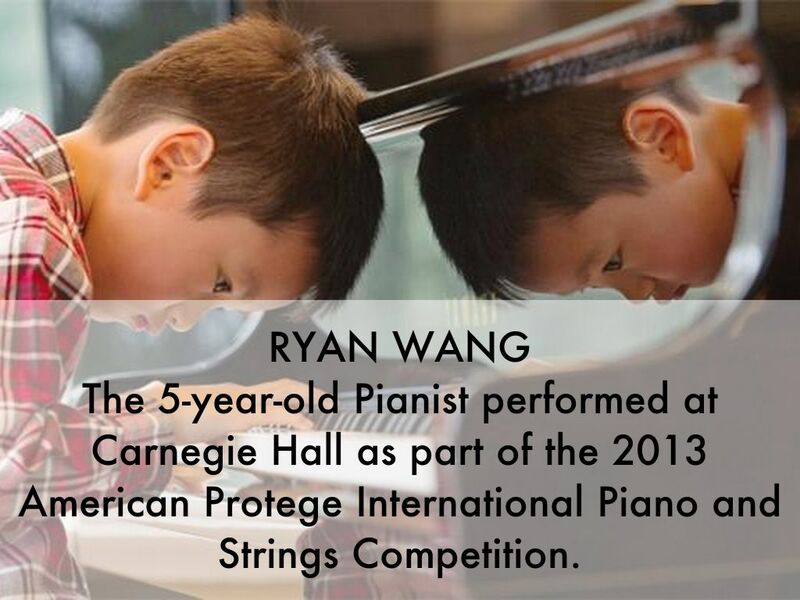 The 5-year-old Pianist performed at Carnegie Hall as part of the 2013 American Protege International Piano and Strings Competition. 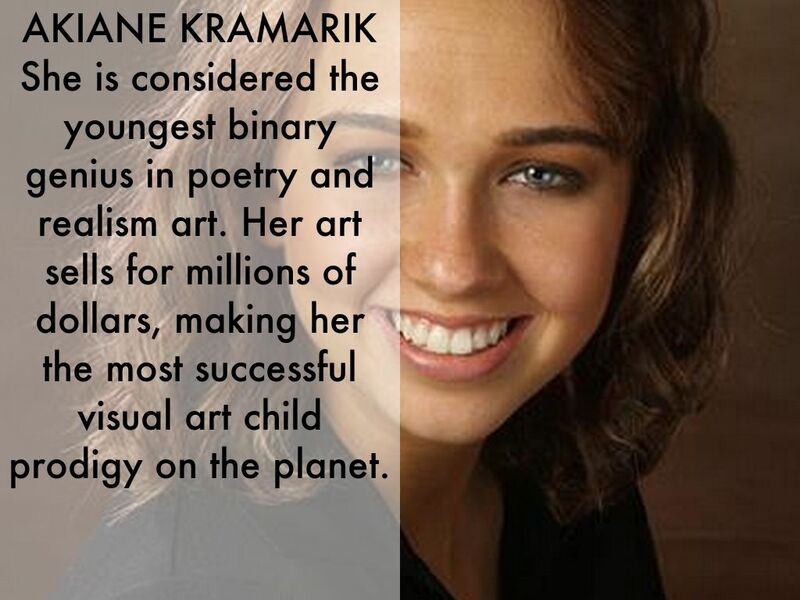 She is considered the youngest binary genius in poetry and realism art. Her art sells for millions of dollars, making her the most successful visual art child prodigy on the planet. 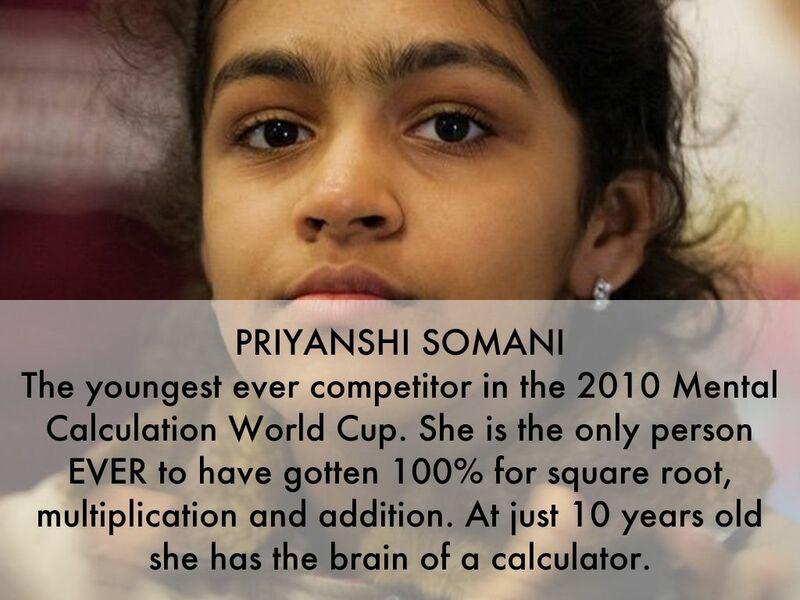 The youngest ever competitor in the 2010 Mental Calculation World Cup. She is the only person EVER to have gotten 100% for square root, multiplication and addition. At just 10 years old she has the brain of a calculator. inventing a faster, cheaper, and more reliable method for detecting certain cancers. It costs only $0.03 to make and is over 90% accurate. This guy's IQ was so high that they couldn't even get it measured accurately. 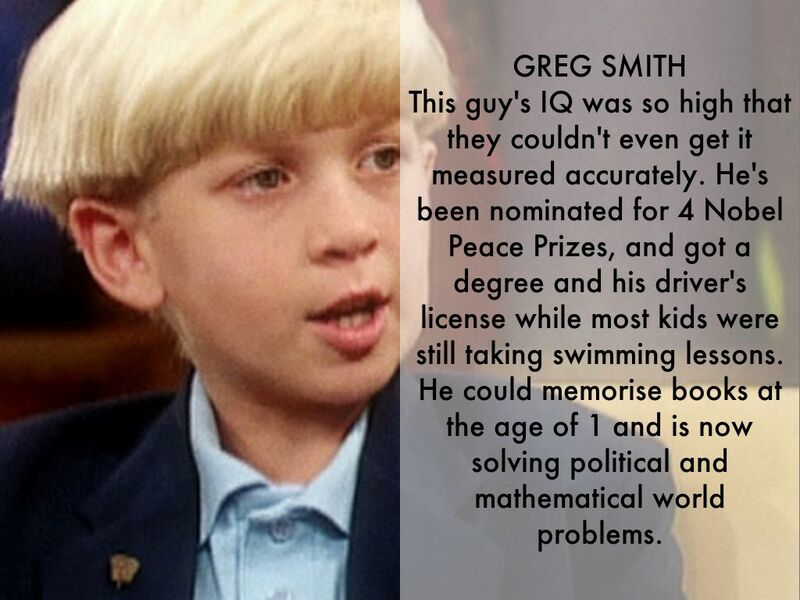 He's been nominated for 4 Nobel Peace Prizes, and got a degree and his driver's license while most kids were still taking swimming lessons. He could memorise books at the age of 1 and is now solving political and mathematical world problems. 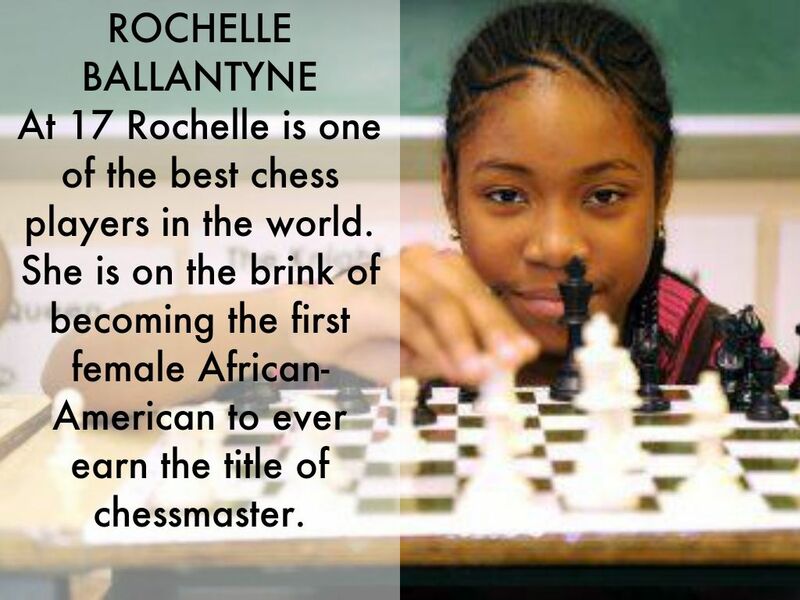 At 17 Rochelle is one of the best chess players in the world. She is on the brink of becoming the first female African-American to ever earn the title of chessmaster. This 7-year-old girl has become the youngest person in the world to create a mobile video game. 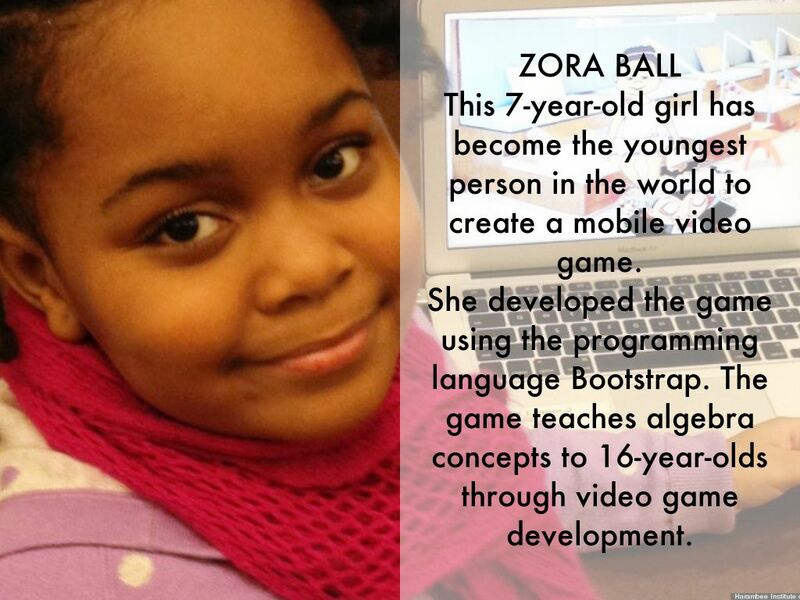 She developed the game using the programming language Bootstrap. The game teaches algebra concepts to 16-year-olds through video game development. She's been working on her headband-making buisness since she was 8, and has earned over $55,000 in sales this year. She also gives away 10 percent of her profits to charities in Atlanta. 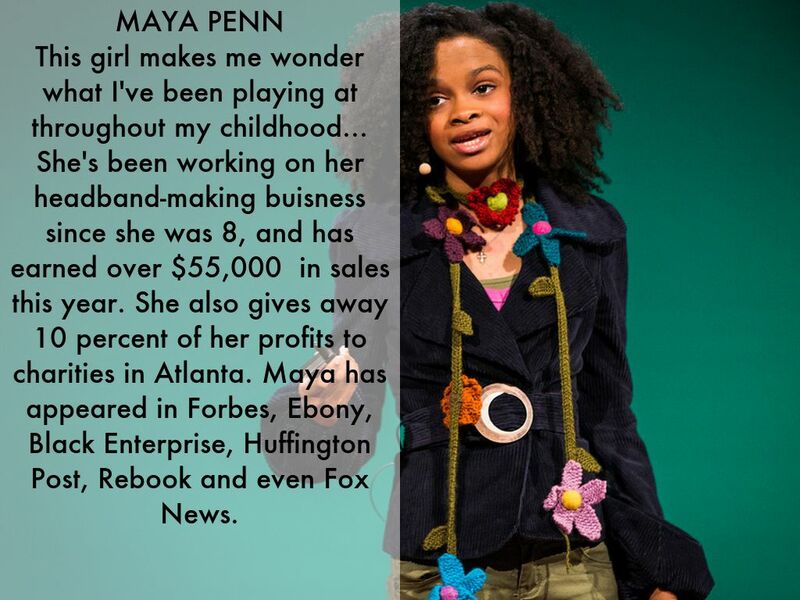 Maya has appeared in Forbes, Ebony, Black Enterprise, Huffington Post, Rebook and even Fox News. The Child Prodigies Who Became 20th Century Celebrities.